1300 block E. 111th St.
Michael Deon Hemphill III, a 29-year-old black man, was shot and killed Friday, April 12, in the 1300 block of East 111th Street in Watts, according to Los Angeles County Medical Examiner-Coroner’s records. About 11:05 p.m., Hemphill was at a gathering with a group of people when numerous shots were fired, said Los Angeles Police Det. Nathan Kouri. Three people, including Hemphill, were injured. A vehicle may have been involved in the shooting, Kouri said. Hemphill was taken to a hospital, where he was pronounced dead at 11:29 p.m., according to coroner’s records. The other two people are expected to survive. Anyone with information is asked to call detectives at (323) 786-5111. Those who wish to remain anonymous can call Crime Stoppers at (800) 222-8477. Imperial Highway and Slater St.
Maurice Forte, an 18-year-old black man, was shot and killed Sunday, April 7, near Imperial Highway and Slater Street in Watts, according to Los Angeles County coroner’s records. About 12: 15 a.m., Forte was walking along the sidewalk with a female when a person approached the two, said Los Angeles police Det. Nathan Kouri. The person shot Forte at close range, then ran to a waiting car, Kouri said. The car fled west on Imperial Highway. Forte was pronounced dead at the scene at 12:34 a.m., according to coroner’s records. The person with Forte was not injured. Anyone with information can call detectives at (323) 786-5111. Those who wish to remain anonymous can call Crime Stoppers at (800) 222-8477. 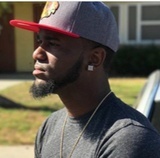 Denzel Joseph Gordon, a 21-year-old black man, was shot and killed Wednesday, March 27, neat East 101st and Grape streets in Watts, according to Los Angeles County coroner’s records. Shortly after 7:15 p.m., Gordon was walking north on Grape Street approaching Century Boulevard when people in a vehicle drove by, said Los Angeles police Det. Nathan Kouri. A person inside the vehicle, described as an SUV, fired multiple rounds at Gordon, police said. Gordon was taken to a hospital, where he was pronounced dead at 7:37 p.m., according to coroner’s records. The SUV fled north on Grape Street. The killing appears to be gang related. Robin Lashon Willey, a 34-year-old black female, died Tuesday, March 12, after being shot in Watts, according to Los Angeles County Medical Examiner-Coroner's records. 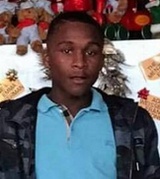 Kalease Raymond Patterson, a 19-year-old black man, was shot and killed Sunday, March 10, near East 113th and Grape streets in Watts, according to Los Angeles County coroner’s records. About 4:30 p.m., Patterson was in a car with a friend driving north on Grape Street when another car pulled up and a person in the car began firing bullets at the two, said Los Angeles police Det. Nathan Kouri. The car, described as a dark-colored sedan, fled on East 113th Street and out of view, police said. Patterson was pronounced dead at 4:45 p.m. at the scene, according to coroner’s records. Neither Patterson nor the other man in the car were gang members. The motive remains unknown. Shaneca Marie Hughes, a 32-year-old black woman, was shot and killed Sunday, Nov. 18 in the 9500 block of Defiance Avenue in Watts, according to Los Angeles County Medical Examiner-Coroner’s records. About 5:35 a.m., a woman called police requesting help because she had been shot, according to a video released by the Los Angeles Police Department. Officers said that when they arrived, they saw a muzzle flash and heard a shot, then saw a man wearing a black shirt and black pants running into a home. An officer, believing that he was being shot at by the man, fired at him, hitting a parked vehicle, police said. Officers surrounded and eventually entered the home, finding five people with gunshot wounds, police said. Hughes was pronounced dead at the scene at 6:14 a.m., according to coroner’s records. Thomas Theodore McCoy, a 54-year-old black man, was shot and killed Sunday, Nov. 18 in the 9500 block of Defiance Avenue in Watts, according to Los Angeles County Medical Examiner-Coroner’s records. An officer, believing that he was being shot at by the man, fired, hitting a parked vehicle, police said. Police said they discovered five people with gunshot wounds inside the home. McCoy and two others were taken to a local hospital. A woman found inside the home, identified as Shaneca Marie Hughes, 32, died at the scene, authorities said. Everado Soto, a 39-year-old Latino, was shot and killed Friday, June 22, in the 10800 block of South Central Avenue in Watts, according to Los Angeles County coroner’s records. Shortly after 10 a.m., Soto and another man were walking south on South Central Avenue when a vehicle pulled up and there was a brief conversation, said Los Angeles Police Det. Nathan Kouri. Two people then got out of the car and shot Soto. The person who was with Soto ran away and was not injured, police said. The assailants got back into the vehicle, described as a light-colored SUV, and drove away. Soto was taken to a hospital, where he was pronounced dead at 12:28 p.m., according to coroner’s records. Anette Uribe, an 18-year-old Latina, was found shot to death Tuesday, Jan. 9, near 11152 Antwerp St. in Watts, according to Los Angeles County coroner’s records. Uribe was found about 1:15 a.m. in the gutter of a parking lot, Los Angeles Police Det. Nate Kouri said. She had been shot multiple times, and police think she was attacked where she was found. A female juvenile has been arrested on suspicion of murder and charged in the case, Kouri said. Police would not release additional information about the homicide. Information from the coroner’s office has been placed on a hold and cannot be released publicly. The Times will update this post when more information is available. Jamie Maurice Brown, a 34-year-old black man, was shot and killed Monday, Dec. 4, in the 2100 block of East 99th Place in Watts, according to Los Angeles County coroner’s records. Shortly after 1:30 a.m., Brown was walking in the area when a vehicle drove by and a person inside opened fire, said Los Angeles Police Det. Nathan Kouri. A resident in the area heard the gunfire and found Brown on the sidewalk. Authorities responded and pronounced Brown dead at the scene at 2:06 a.m., according to coroner's records. Police are working on a vehicle description. Isaiah Alexander Alvarez, a 21-year-old Latino, died Saturday, Aug. 26, after he was shot in the 2000 block of East 105th Street in Watts, according to Los Angeles County coroner’s records. Alvarez was at a party late Friday, the night before he was killed, when he got into a fight with two other Latinos who witnesses said were gang members, Los Angeles Police Det. Dave Garrido said. The fight moved into an alley, where someone shot Alvarez, Garrido said. Alvarez was pronounced dead at the scene at 12:03 a.m., according to coroner’s records. Police said the South Pasadena resident had no gang ties. Kenneth Lewis, a 34-year-old black male, died Wednesday, Aug. 16, in Watts, according to Los Angeles County coroner's records. The cause of death is pending. Cesar Lopez, a 25-year-old Latino, was fatally stabbed Sunday, Aug. 6, in the 10800 block of Kalmia Street in Watts, according to Los Angeles County coroner’s records. At 3:10 a.m., Lopez was sitting in a dark-blue sedan with three others when he saw a woman nearby, Los Angeles Police Det. Dave Garrido said. Police said that Lopez tried to hit on the woman before a dark-colored sedan pulled up and another man got out. Lopez got out of his car, and he and the man got into an argument. Lopez was stabbed during the skirmish. The assailant, a Latino, fled, and police are looking to identify him. Lopez was pronounced dead at the scene at 3:30 a.m., according to coroner’s records. Michael Jerome Johnson, a 60-year-old black man, was shot and killed Monday, July 3, near Compton Avenue and East 98th Street in Watts, according to Los Angeles County coroner’s records. Shortly before 3:30 p.m. Johnson was standing in a parking lot at the northwest corner of East 98th Street and Compton Avenue, talking to someone about buying a car, said Los Angeles Police Det. Dave Garrido. A light-colored sedan drove up and a person got out of the front passenger side and shot Johnson. The attacker then fled in the car. Johnson was taken to a hospital, where he was pronounced dead at 4:20 p.m., according to coroner’s records. The shooting does not appear to be gang-related, police said. Anyone with information is asked to call detectives at (323) 786-5113. Those who wish to remain anonymous can call Crime Stoppers at (800) 222-8477. Mary Magdeline Goins, a 52-year-old black female, died Saturday, May 6, after sustaining blunt force trauma in Watts, according to Los Angeles County coroner's records.